Brow obsessed? Make your passion your paycheck by offering the UK’s no.1 salon brow treatment. Doing just 5 treatments per day can deliver you nearly £40,000 per year*, plus access our award-winning brow make up alongside the HD Brows treatment and boost your treatment revenue stream even more. On-trend and in-demand, our salon finder receives over 12,000 visits every month from your potential new clients searching for their nearest HD Brows stylist. Are you ready to put yourself on the map? The HD Brows Course: What will I learn? The HD Brows treatment is completely tailored to each client which differs from many other ‘one shape fits all’ treatments available, and this is reflected across every step of our training. Our Elite Brow Experts will educate you on face shapes, brow mapping, and the secret to our exclusive design formula before showing you, step by step, our unique selection of techniques including tinting, waxing, threading make up application to create a bespoke brow, perfect for your client. Because we are such brow perfectionists, we understand that not all perfect brows can be built in a day. This is why our HD Brows Regrowth Programme allows you to work with your clients long term to eventually create their dream brows -building your relationship and ensuring you get that continuing returning custom. Not only that, we’ll ensure you leave with tips & tools to make your new brow business a success. We want to make it as simple as possible for you to start offering HD Brows to your clients. That’s why we have a range of training packages available to suit the needs of your business – here’s what’s included. The ideal introductory package for new stylists. All the support needed to make brows big business for you or your salon. The perfect option to trial retailing and boost your earnings. Want to make the most out of your brow investment and maximise your earning potential? This package is for you, allowing you to earn back the cost of training and make a healthy profit. You’ll take away your kit from the course, and be ready to start offering treatments straightway with your new found skills. And because your comprehensive kit includes everything you need to deliver 60 treatments, you can earn back your initial training cost before having to repurchase anything. With each HD Brows treatment costing you just £3.80 and an average RRP treatment value of £30.00, giving you a mark up of over 680%*. Can your business really afford to not offer this treatment? Use the calculator below to estimate the number of treatments offered to reveal how much you could earn. Just weekly treatments can earn you an extra per week. Selling just Browtec's weekly means you can earn an extra per week. WHERE & WHEN CAN I TRAIN IN HD BROWS? With weekly training at our official academies across the UK (Leeds, Milton Keynes, Glasgow, Bristol, Liverpool, London and Birmingham), you’re sure to find the course date and location to suit you. Call the team on 0113 2247 910 to discover more. Alternatively fill out the below form to express your interest and a member of the team will be in touch. Stay up to date with our training news, offers and products (tick all that apply). "Since training in HD Brows, I've built a dedicated client base of over 400 clients." I have had in my 14 years beauty experience." "I started training in HD Brows 3 years ago. Since then, they've been my life. I started off doing brows mobile alongside my banking job and now I have got so busy that it's given me the opportunity to open a salon, now employing others." "Training with HD Brows really has been career changing and life changing." "I started HD Brows in my 40's and it has opened a whole new career for me. I love my job and it works around my life and children. The best investment I have ever made in my future." You must be at least 16 to train with us independently providing you get parental consent. 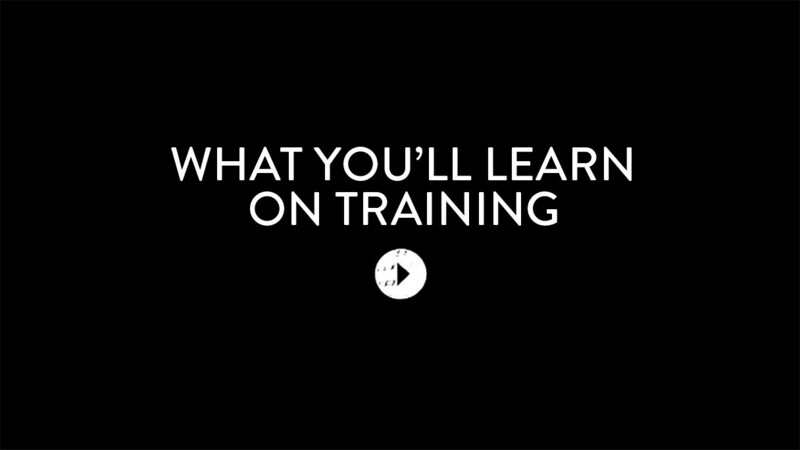 If you’re training under an account holder or salon, you can train from the age of 16. These ages are subject to insurance policies. I’ve already done other eyebrow training, do I have to complete the full course? The treatment and hair depilation techniques we teach are often very different to those that have been taught on other more traditional courses. We tend to find that those who haven’t had any previous training or experience find it easier to learn, as they haven’t. What is the difference between the HD Brows course and other alternatives? HD Brows is the UK’s no.1 salon brow treatment and has never been more in demand with over 12,000 visits to our salon finder page every month. Our ethos is ‘one shape does NOT fit all’ and our training teaches bespoke methods of brow mapping, custom colour-blending, hair removal and finishing techniques to suit the clients’ hair tone, skin tone and style. Trends are forever changing and although we teach certain methods of shaping, we supply you with the skills needed to help give your clients the most in-demand brow look of the season. What happens after my HD Brows training? Once trained, you have the UK’s most popular brow brand behind you. We have a private Facebook group available to all trained Stylists to showcase their work and request feedback by our elite training team as well as a dedicated sales team available to contact Mon-Fri 8.30am-5.00pm so no matter your query, we’re here to support you. What’s the difference between a HD Brows Stylist, A HD Brows Pro Stylist and a HD Brows Master Stylist? After your initial HD Brows training with us, you can advance your skill set by attending our advanced training. Our Pro & Master Classes teach advanced hair removal techniques as well as brow lightening and much more. The higher the level trained with us, the more you can charge for the treatment. You’ll also be listed as an advanced HD Brows Stylist on our Salon Finder page, increasing demand for the HD Brows treatment with you. Discover more about our advanced training here. How much can I charge for the HD Brows treatment? Due to the quality and demand for treatment our treatment, we recommend you charge the RRP of £30 for HD Brows treatments. What’s the difference between HD Brows and microblading? HD Brows uses a variety of hair removal techniques to create your clients desired brow shape. The treatment lasts around 4-6 weeks and starts from just £30.00 whereas Microblading is a semi-permanent technique that sits under the tattooing family. During microblading, pigment is implanted into the skin with a fine needle to create the look of hair strokes. Microblading usually lasts around 1-3 years and starts at approx £500. Discover more about the difference between HD Brows and Microblading here. Do I need to train with you in order to offer the HD Brows treatment? Yes. You cannot, by law, promote and/or sell the HD Brows treatment unless you have completed our official training course. Please also be aware you can only train in HD Brows at any of our official academies. Discover more about our training locations here. When can I attend your training? You can view all of our upcoming training dates here. Where can I train in HD Brows? You can train at any of our official academy locations based in Leeds, Milton Keynes , Birmingham, Glasgow or Ireland as well as at our current pop-up locations in Bristol, Liverpool & Purley, London. You can view more about our academy locations here. How do I book HD Brows training? You can call the team from Monday-Friday 8:30am-5:00pm, to book your HD Brows course or if you require any further information. Alternatively you can fill out the above webform and a member of the team will be in touch. *Search figure based on Google search statistics and the HD Brows Salon Finder searches. You can make back the full cost of the course (minus VAT) and an additional £405 when charging £30 for 60 treatments based on 5 treatments per day, 5 days per week at £30 per treatment. 680% treatment mark up is excluding VAT costs. All trade prices exc VAT and ALL RRP prices include VAT. *Assumes a £30 average HD Brows treatment price. Business running costs not included.